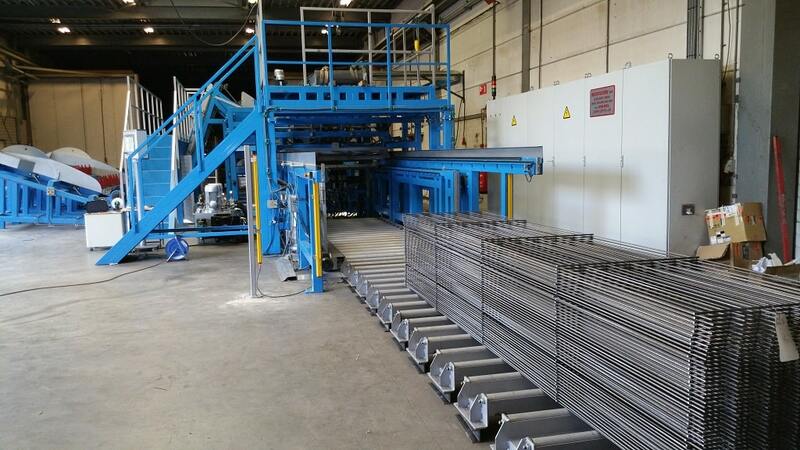 Varioweld is COMPLETELY AUTOMATED, VARIABLE GEOMETRY mesh sheets production PLANT! 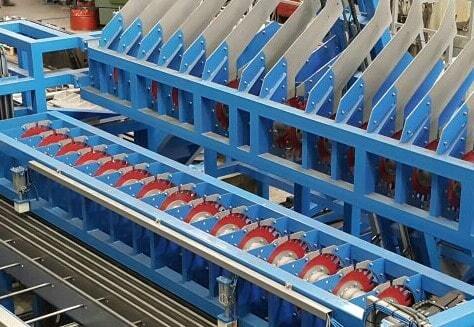 Automatically positioning of the electrodes makes the production of any size, or, geometry and spacing possible. Precast concrete elements and slabs are the fastest and most reliable building techniques available. All the parameters of the construction element are tightly controlled, allowing for guaranteed specifications. The building time and machinery on site are significantly reduced as well as the workforce! Varioweld 3 from Tillos Dimitrios on Vimeo. Operator fills the line wire and cross wire magazines with the bundle, by crane! 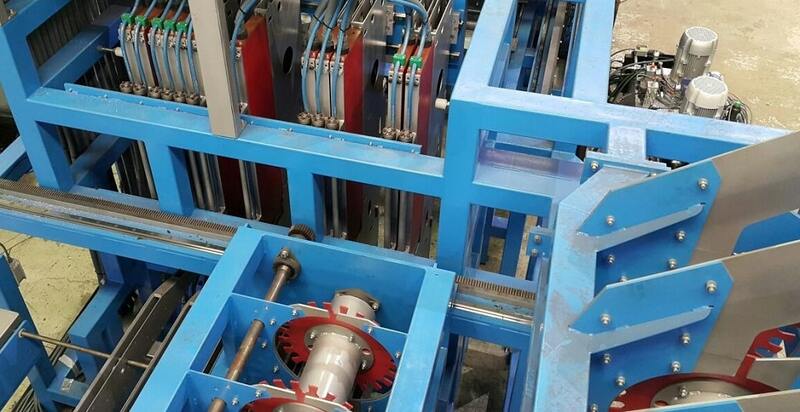 After entering the requested job into the PLC, machine will, automatically, start the line wires positioning carriage. 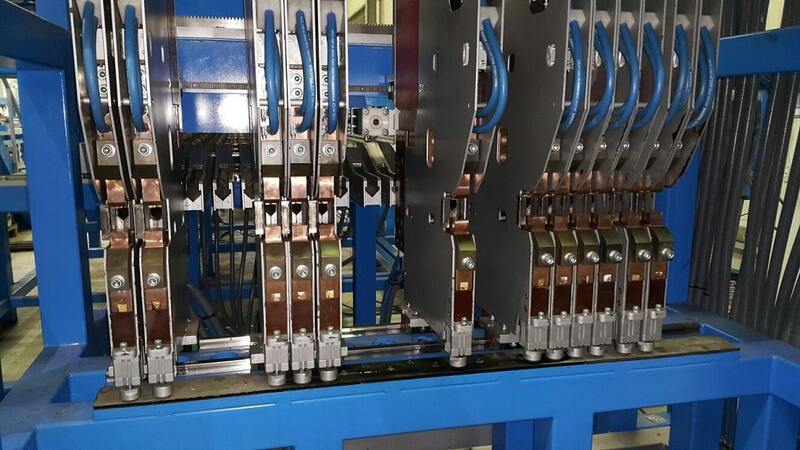 Carriage will position line wire guides and electrodes modules at the required spacing! Line wires are taken from the magazine, sorted by magnets and transported by the chain into the feeding device. Feeing device is adding the line wires, required for two panels, onto the carriage selector. Carriage will move laterally and position the first set of the line wires into the wire guides. Wire holders are opening and the wires are pushed into the welding position. Holders are closing and carriage is returning placing the second set of the wires! Cross wires are taken from the magazine by the sorting magnets into the cross wire feeding device. 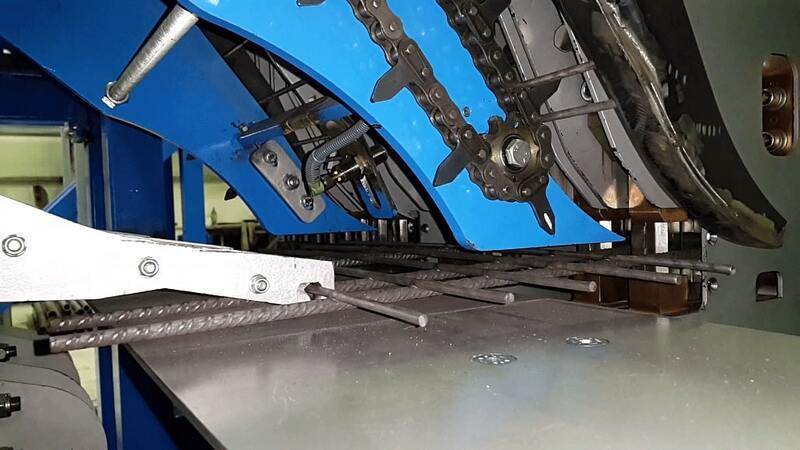 Feeding device is placing the wires into the welding position at the selected steps. Electrode modules, each having distinct transformer, will start welding. Servo advancing trolley will move the mesh during the welding session, at pre-programed steps. The servo trolley is placing the mesh into the stacking position and returning back to start again! Ready mesh bundle is evacuated by the motorized rollers conveyor.